Aged over a quarter of a century, SMS marketing, is an effective, simple and fast advertising tool intended for two-way communication. Although in Europe and in the USA, it was replaced by MMS messages and push notifications for a while, soon it returned to grace. Today’s consumers are extremely attached to their mobile phones. They use them every day, always having them within reach and often starting a day by checking their mobile phone notifications. And that is why, SMS marketing still makes sense and is highly effective. It allows direct contact with customers, providing them with information about current offers, promotions or discounts. SMS solutions for companies are provided for entrepreneurs from various sectors. The use of an SMS platform allows optimal adaptation of this form of advertising to customer’s individual needs and a real-time communication. Text messages are widely used in everyday life and in business – starting with online stores, sending notifications about the order status, post office or other government offices that improve communication with residents, through a possibility of buying a medicine using a special code, to SMSes with commercial offers. According to the figures from Statista as at the end of 2017 year, the number of mobile phone users worldwide was predicted to reach 4.9 billion in 2018. Given the fact that a lot of telecommunications operators all over the world offer free unlimited calls and text messages as a standard service, SMS remains a significant mean of communication, both private and business. The use of SMS messages varies depending on the demographic affiliation of the respondents. Among Americans aged 50-64, only 75% use the telephone to send text messages, while among USA citizens aged 18-29, 97% do it. Differences are also visible when it comes to gender – it turns out that women have a tendency to read text messages less frequently than men. The users perceive the received text messages as very useful. As many as 64% of users believe business should use SMS more often and 70% see SMS as a good way of acquiring their attention. What is even more important 77% of users see the company in a more positive light if it uses text messages as a channel of communication with its customers. In my opinion, the ‘future of mobile’ is the ‘future of everything’. However advantageous and effective, it is good to remember that SMS marketing may not be always the right channel choice. It works best when it aims at encouraging its receiver to take action, being direct, concise and consisting a clear call to action. More general goals, such as increasing brand awareness, should be reached using a less direct channel probably. 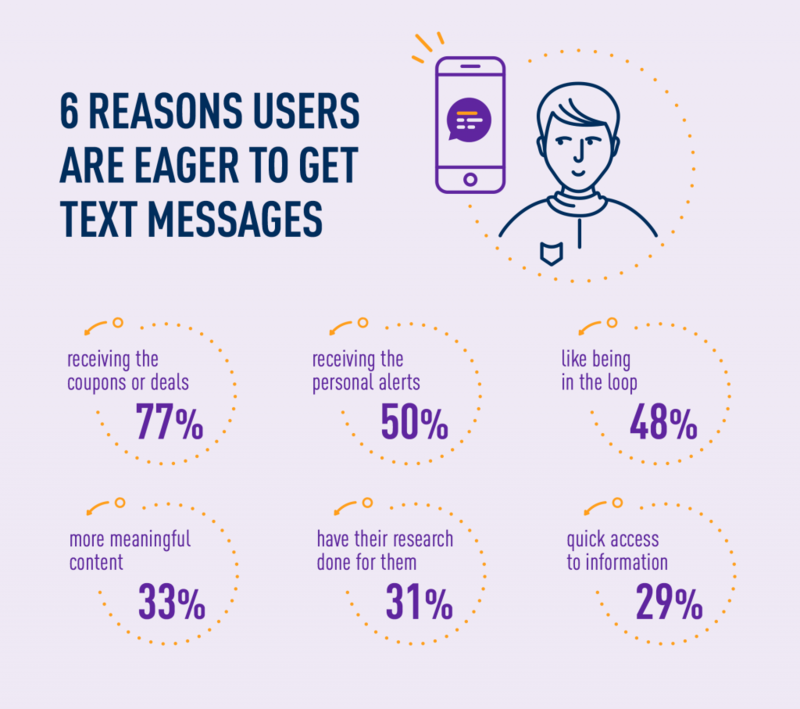 SMS messages have a high percentage of openings (82% of respondents claim that they open every received SMS), which is a very positive information for every marketer, but it is also a challenge in terms of accurate personalization of communications included in text messages. To be well-perceived and actionable, the content of a message should match the context of the situation in which the recipient currently is. Otherwise, yes, there is a big chance a text message will be opened, but it will be counterproductive. It would be ideally if the recipient felt that the proposed solution is unique and tailored especially for him. Messages should be personalized and ideally refer to recipient’s interests, purchase history, place of residence, age, gender and location. The sending time should be chosen carefully as the SMS will be surely read immediately. Betting on a SMS campaign, especially while sending text messages including links, it is crucial to make sure that a website we are linking to has a mobile version. The site adapted to mobile screens clearly presents the content and makes it easier to use the touch screen functions. Placing a link in the message, it’s important to remember to put a link to what we’re actually referring to, and not the home page. If you create a specific URL you will as well be able to track performance of your campaign. It is worth remembering that SMS marketing is nothing else than a piece of text. It should be reviewed logically as well as checked for spelling mistakes, syntax errors or typos. The SMS should be succinct but legible. The most-needed information should be included: what, where, when and why. The benefit language should be used. It is worth constructing information so that the recipient knows what direct benefits he can get. And last, but not least – always respect the law and the right your customers have to opt-out. By the way, it is not such a threat as it may seem. As it is already known, most of recipients value the offers they get through SMSes, therefore there is a small chance that they will opt out. The quantity of opt-outs is also a good test for the offer and its matching to recipients’ expectations. If there is a lot of opt-outs, it may be a call to redefine the assumptions of the campaign. Mobile is not the future, it is the now. Meet your customers in the environment of their choice, not where it’s convenient for you. TASIL allows taking care of all the above-mentioned aspects of good, effective SMS marketing and even more. As you already know, the selection of the right target group is crucial. The more carefully the group of customers chosen, the more personalized are the campaigns and the less money you have to spend. TASIL provides the possibility of precise configuration of each campaign for each industry, giving a wide range of filters and segments that accurately define the group of recipients. 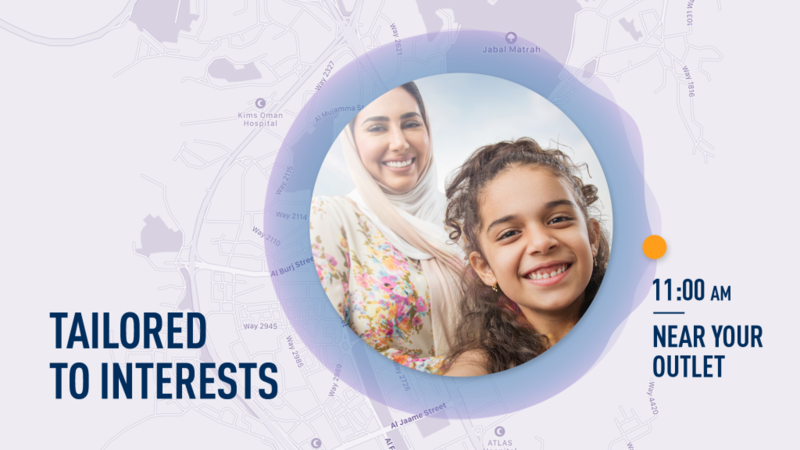 The campaign reaches not only the customers interested in chosen fields, but also those of them who currently stay around. TASIL enables including interactive elements, such as links, which make it easier to track the results of the campaign. Thanks to them, marketers can determine whether the message has triggered an action. This information can be then used for better configuration of next campaigns, which will increase their effectiveness. An extended version of TASIL services, TASIL PLUS, offers the option of creating custom filters for better offer-customer matching. 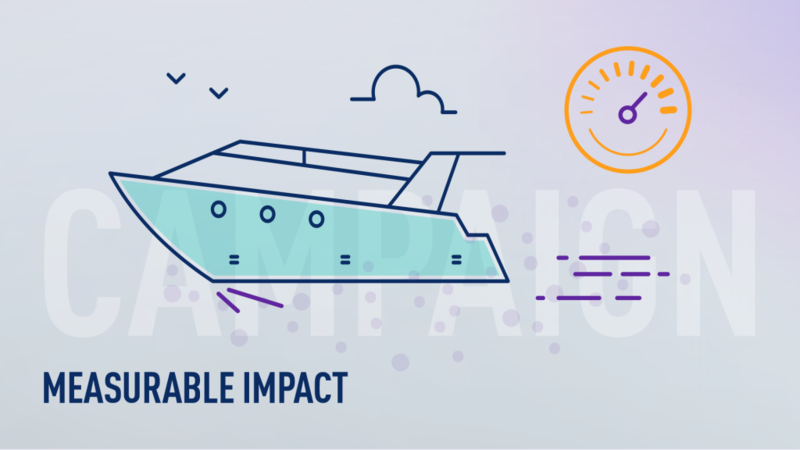 It gives also a possibility to check effectiveness of the campaign in terms of selection of the target group, but also the type of message content. Thanks to A/B testing, it can be checked which configuration brings greater benefits within campaigns started at the same time. The assumption of SMS advertising campaigns set up with TASIL should be, giving a customer the pleasure of receiving something and the feel that he did not devoted his precious time to reading messages without getting anything in return. It is good to give something of real value – a voucher, a coupon, a discount or some souvenir. TASIL is an ideal tool that enables linkage and cooperation of different channels of communication with a customer. Its functionalities can be used to direct customer’s attention to a different type of marketing message, such as a billboard or city lights, displaying an advertisement corresponding to the needs or interests of the recipient.